BrewBarrel makes it easy to track, rate, and browse through your entire beer history. 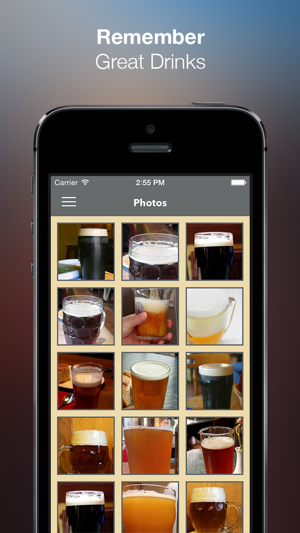 Keep a digital collection of all the beers you've tried and never forget another beer again. Quickly search through your tasting notes to find what you're looking for whether you have tens, hundreds, or thousands of beers. With BrewBarrel you can start pouring sooner. With BrewBarrel you can store and access all your beers anytime, anywhere. 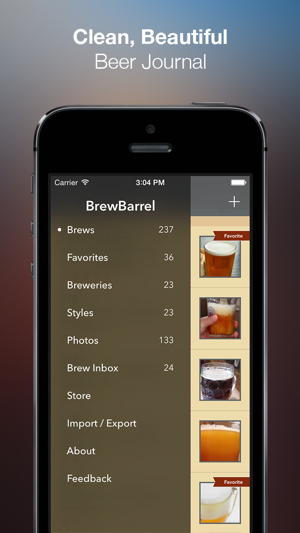 BrewBarrel makes it easy to store, search, and view your tasting notes whenever you need them. 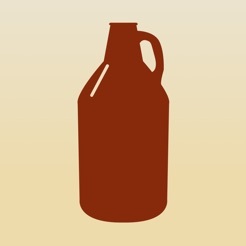 Get quick access to beer name, brewery, style, rating, and photo. Effortlessly take and view photos of your best (or worst) pour. Email or text the photos to friends or share online via Twitter and Facebook. Find what you're looking for. In no time. 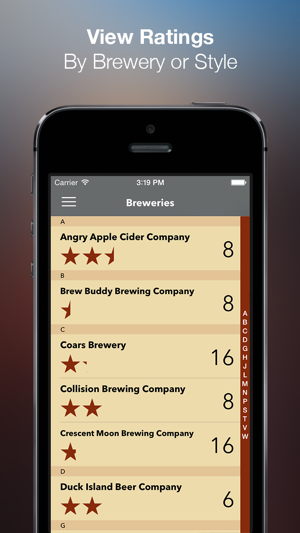 Sort beers based on metrics such as brewery, date added, rating, and more. BrewBarrel makes finding exactly what you're looking for uncomplicated - even when you have hundreds of beers. Stay detail-oriented. You'll thank yourself later. Keep comprehensive notes on ABV, IBU, rating, brewery, appearance, mouthfeel, scent, and much more. Never forget what that one beer you had two months ago at your friend's place tastes like. 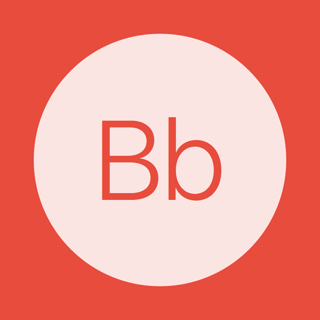 The Brew Inbox makes it easy to share detailed tasting notes with other BrewBarrel users. Send a brew from your collection as a BrewBarrel data file directly to another user and they can instantly view all the info you’ve entered for the brew right inside the app. Share your beers, it's not fun to drink alone. Choose to share what you are drinking on Facebook or Twitter, or send your favorite beer to a friend. 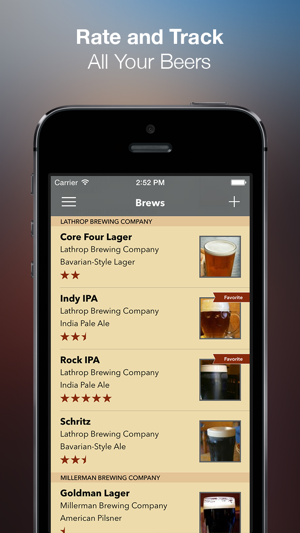 With only a couple taps you can send out detailed notes on your new favorite beer. Mark beers as favorites to gain quicker access to them. Marking beers as a favorite lets you find what you know you like even sooner. Find all your breweries on one screen. The breweries view is a great way to see all your breweries and their average collective beer rating. Use it to weed out the bad ones. Feeling picky? The styles view separates your beers into styles. Whether you are craving a double IPA, porter, wheat ale, or you name it, BrewBarrel makes it easy to satisfy your craving. BrewBarrel allows you to export a full backup of your data. This backup can be used to import your collection onto other devices or just as a backup for safekeeping. Additionally, export all your brew info, notes, and details into a text file and brew photos into your device's photo library. 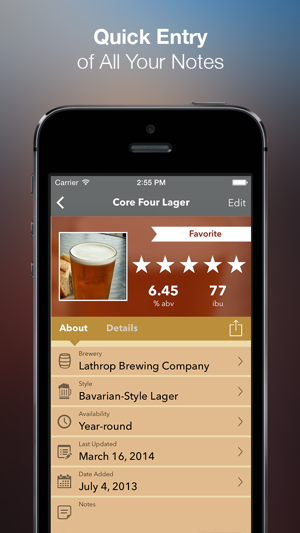 With initial download you'll have the ability to store up to ten beers inside the app. Once you know you enjoy the app you can purchase a one-time upgrade in order to store unlimited beers. The design is simple and clean. Best of all, it's exactly what I was looking for. An offline collection of my personal beer tasting notes. Ever tried a beer, but can't remember if you liked it or not? Well, this solves that problem ever time. The only downside (a minor one) is that you only get 10 free entries, and then have to pay $0.99 for 100 entries or $1.99 for unlimited entries, although it is a very reasonable price for what you are getting. 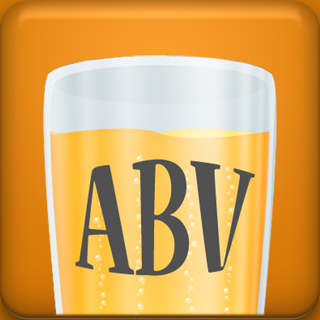 As a beer fan who likes to keep a record of brews tried and enjoyed, I found this app fulfills that basic function. With a simple yet attractive and intuitive interface, item entry is straightforward and the information retained is adequate for my purposes. 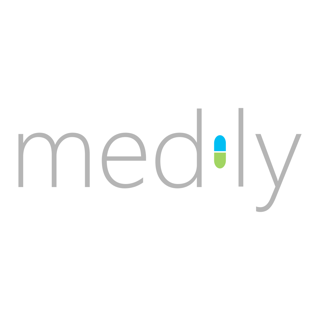 What the app desperately needs, however, to have up-to-date value is a cloud capability to synchronize across multiple devices and to provide data backup. Add that and it will rate an unequivocal “5” in my book. Additionally, I couldn’t seem to get the star rating to change, except a few times it went to 0 or 5 (maybe around when I went into and out of the app?). Adding a rating to the beers is a requirement!